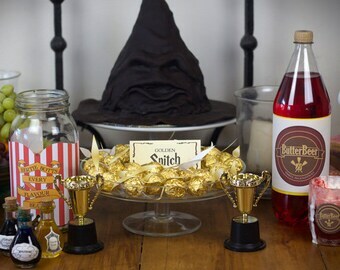 Entertain and delight your party guest with this fun Harry Potter inspired game. Suitable for children to adults and can be adapted to any of your favourite movies. They are styled to fit in with our School of Witches and Wizards theme. Great for birthdays or Halloween parties. 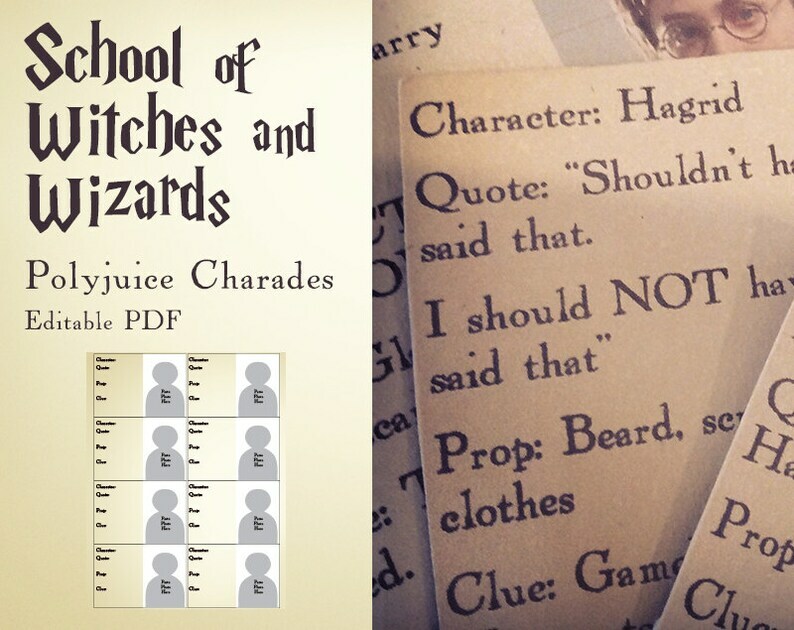 Includes 1 letter size sheet with 8 Charade Card templates. Fill in the fields, print and put your own photos on the cards. Page 2 has instructions to play the game. This file can be reused as many times as you like for as many occasions - just enter new text. You can even change the font for a different look! PLEASE NOTE: The Harry P font seen on the listing can not be included in the PDF because of licensing restrictions but can be downloaded free from http://www.dafont.com/harry-p.font. Once you install the font on your computer you will be able to change the font to match our listing image.